Mary was of strong faith and allowed herself to be used by God to give us our saviour Jesus Christ. Mary is our link between heaven and earth. Mary was not the miracle worker, nor the healer. Mary brings another dimension to the person of Jesus. She helps us understand Jesus more, she leads us to him and intercedes for us all, by asking Jesus on our behalf to intervene for us in times of trouble, she brings Jesus to us. If you love Mary then you love Jesus, because Jesus so loved Mary, Jesus gave us Mary to help us, so she is our mother too. Catholics don’t worship Mary, they honour her because of the special qualities she has that we aspire to. The rosary is a series of prayers that lead us to Jesus. The faithful pray the rosary to receive miracles and favours from God. When you pray the rosary it is to God, Jesus, the Holy Spirit and Mary. All the major figures of the heavenlies aligned to listen and intercede for you, that’s got to be awesome!!!! Here’s the link below, if you wish to recite the rosary, it’s very easy as all the prayers are written for you to recite with visuals and audio and it takes you from the beginning to the end- it’s a virtual rosary. Its hard to understand Mary’s importance because she had no ‘special’ powers and was fully human, but this has actually made it so much easier to understand the role she plays as a part of the Christian faith. Thanks for sharing! 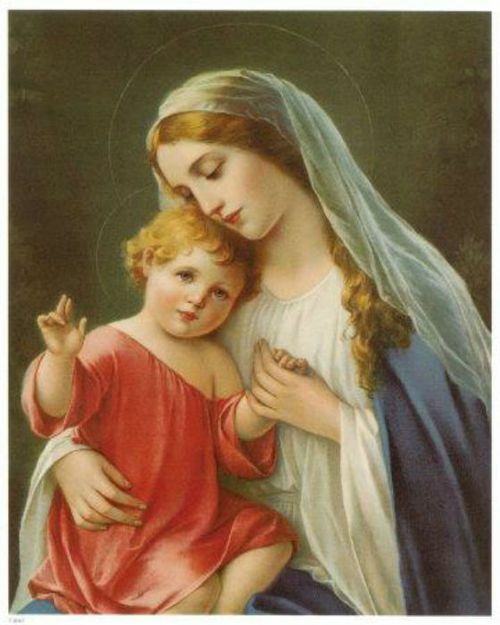 Mary does lead us to Jesus and can help you.